It’s that old Clint Black song… “Killin’ Time is Killin’ Me”…..
We are patiently waiting on a call telling us that the boat is ready…. hasn’t come in yet. We thought we might get to fish this week prior to the Fun-N-Sun Memorial Day Tournament…. but, looks like it ain’t gonna happen…. And, it is too windy anyway…. if not one thing, then it is another…. just the way it is. But, while killing time, I was browsing through the computer and came across these old pictures…. 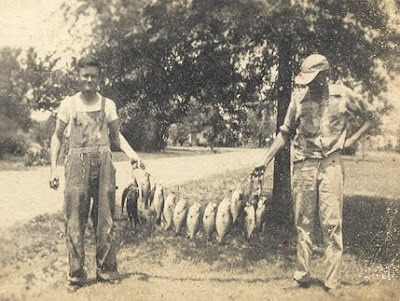 This first picture is my Dad (on the left) and a buddy back in the 50’s … That tree behind him grew to be about 4 feet thick and then died and was cut. 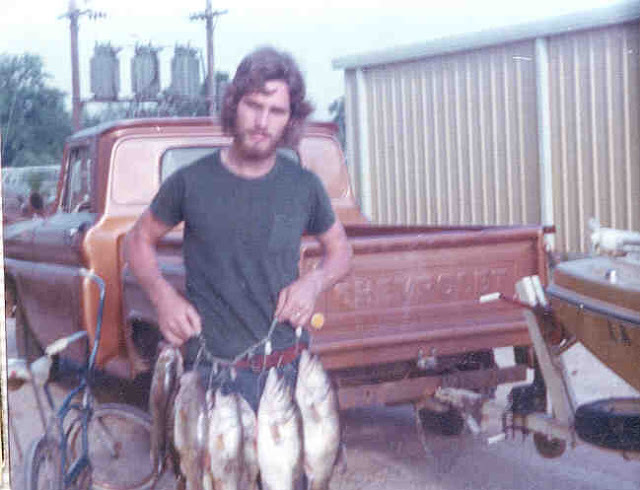 What a string of “specks” as he called them… right out of the bayou. 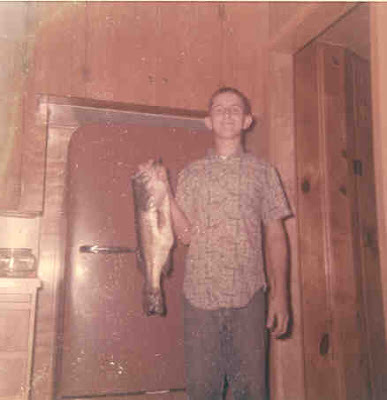 This next one was of a buddy who lived across the street… he woke us up early one morning to show us this bass he had caught in the bayou just down from the house… some time in the early 60’s. 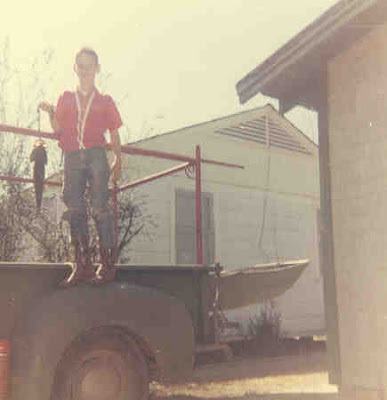 This is my brother with a string of fish he caught in the 70’s…. his boat and pickup. I think the limit back then was 12 or 15. 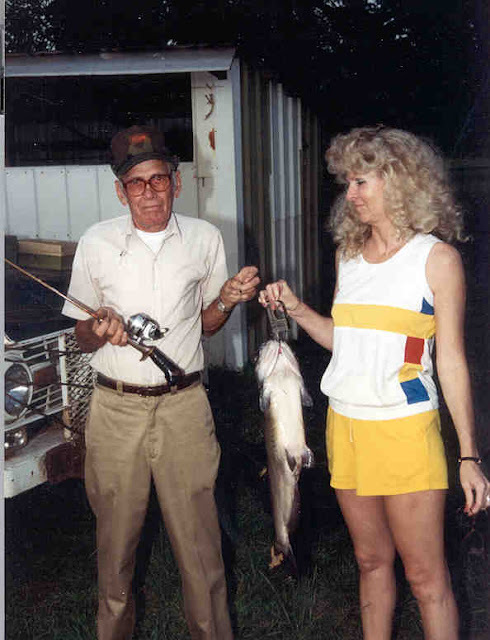 This next one is my Dad and the Boss taken some time in the 80’s… a big cat he caught on that tiny reel … but it was a pond fish. And I still have that Bronco…. what a hunk of iron. Life is short… good times can be scarce… make the best of life as you can.